Today it's round two of my "Blogger Interviews" series, and I'm going to be interviewing Cariad from Cariad On Life and Olivia from Curls and Comets. Cariad On Life is my special little place to vent and to tell the internet about my crazy adventures and my love of make up. I like to blog with a hint of comedy or sarcasm along the way and still get my point across! A year or two back, I was creating (extremely bad) youtube content. I was oblivious to the other opportunities I could have until I came across Sprinkle of Glitter. Noticing she had a blog, I was in awe of her, I wanted to be exactly like that, a successful blogger. Hence, Cariad On Life being created! I love writing my blog because it gives me freedom to be myself and say what I think without having too much slash from a reader. I love the variety of style that I am able to have with my blog having both beauty and lifestyle content on one blog. Such a hard decision! I have so many names floating round my brain but I have to go with, after much debate - Hannah from Away With The Fairies. 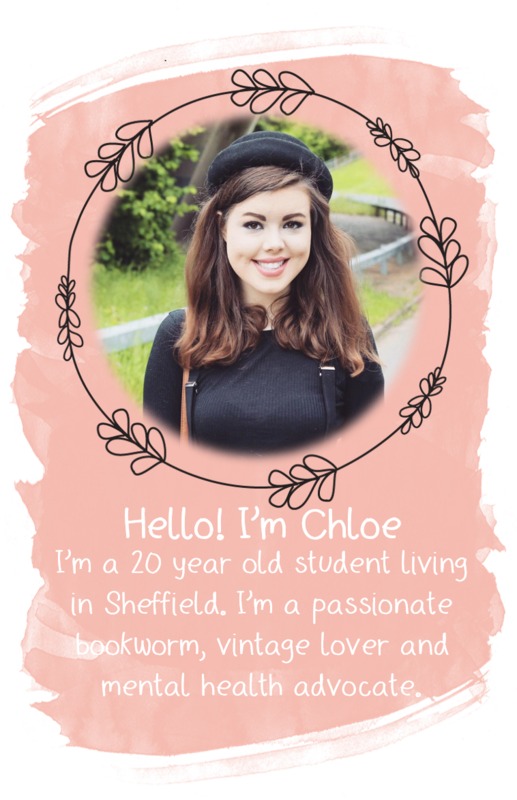 I absolutely adore everything about her blog and keep up to date with every post! Two of my older posts: Celebrity Style: Cara Delevinge & Look Book: 4th July Outifts! I am so proud of because they were both time consuming but definitely worth it because of the massive response they had. My most recent Friendship post tugged at a lot of heart strings and made a lot of people emotional so that was also one I look back on and think, yes I did a good job! Curls and Comets is my little space where I literally have the opportunity to post whatever comes to mind. I absolutely am obsessed with beauty and fashion so I really wanted my blog to focus around these aspects. I like the freedom to be able to write for pleasure without any restrictions or rules. 'Curls' comes from me having super curly hair and 'Comets' comes from the idea of being away from all problems and worries we may be facing an escape as such. I find blogs intoxicating to read and you want to buy all the products a person has, so you start to want to have a blog. Well that's was my motivation, watching others doing so well and having fun writing about the same sort of things which I love and I am interested about seems like the perfect opportunity to join in. I would love to know how people have fancy html codes and layouts as I am still confused by it all! That's such a hard question I literally enjoy everything: taking the photos, writing the posts and getting to interact with other bloggers and people who read my blog. I find it so sweet when somebody comments on how much they love my blog or a blog post because sometimes it can feel quite lonely especially if you don't feel as if people are interested in your posts. So to receive comments is lovely especially when you take so much time and precision to make sure all your blog posts are how you would like them. I wrote a blog post around August time which I called 'Deep Ocean Deep' which is http://curlsandcometsblog.blogspot.co.uk/2013/08/deep-ocean-deep.html here. Between now and then my intentions have completely changed, however besides that fact this post was the deepest post I have ever written. It was lovely to be able to get all my thoughts down into one blog post about what I was really thinking at that time and place. I love writing all my blog posts however this one was especially great to write, and is a tad cheesy but I don't mind. I want to say a huge thank you to Cariad and Olivia for taking part in this little interview series. It was so lovely to read your amazing answers.